I was a bit of a bookworm in the beginning of the year. In the first five weeks of 2012 I read five books and that doesn't include me re-reading the entire Hunger Games trilogy again so technically I read eight books. I tend to have a cycle with reading. I go insane and read every spare minute that I have for weeks and then I will not read a single book for a couple of months in between. In fact I have had The Maze Runner downloaded for over a week now and I haven't even read the first page. I also haven't been to the gym in about two weeks which accounts for some of my non-reading. Aubs has had a runny nose and they will kick you out of the kids club faster than you can spit out, "I swear it wasn't green this morning" if they so much as see a tint of color in your kid's snot. So anyway I thought I would share the books I have read with you in case you are looking for a good read or looking to avoid a bad one. I'm not going to go over The Hunger Games because everyone and their mother(including mine- I made her read them) knows that they are incredibly addicting and entertaining. The books that I am sharing with you are in the order I read them, not how much I liked them because the first two book kinda really sucked. This book is based in India 16 years after "The Rising". The rising happened when a chemical warfare project got out of hand and turned the majority of the population into flesh eating zombies. The story follow a 16 year old girl named Alice who was born just 3 months before the rising and survived with her family in a compound that protects it's self from zombies. Her father was employed at the United States embassy and that's how they got the in. Alice's whole life has basically been in survival mode and she is highly skilled on how to fight and kill zombies. One day when she was out hunting zombies, she saw one with costume rabbit ears on and followed it down a hole. 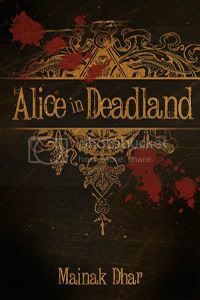 Hence the name Alice in Deadland. Surprisingly the zombies don't kill her because they believe that she will fulfill some sort of prophecy that they believe will end the war between humans and zombies. They believe this because their queen has a Alice in Wonderland book that she shows them. The whole book is basically Alice attempting to help the zombies defeat a Chinese army of soldiers. I didn't like it. I have to admit that I'm not usually one for zombies. I can take them or leave them and I have never read a book that had zombies in it. I downloaded the book because it was recommended if your like The Hunger Games and I read a few good reviews on the book. I thought the beginning started out pretty interesting when the author describes the rising and how certain groups of people survived. This is why I kept on reading it, I thought if the beginning was good then maybe the rest of the book would be too. I was wrong. I thought the plot was long and dragged out and that the ending was anti-climatic. I also thought that the whole Alice in Wonderland theme wasn't well played. Long story short- the book wasn't for me but if you like zombies and lots of fighting scenes then you might want to check this one out. Molly's world is turned upside down after she witnesses a kidnapping that she didn't realize was a kidnapping at the time. The little girl who was kidnapped ended up being murdered and Molly had a hard time forgiving herself for not doing anything. 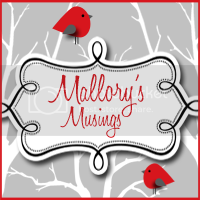 In an attempt to banish the bad memory Molly moves her family from the city to a small town. There she regains some sort of normalcy until years later when a little girl about the same age as the one before is kidnapped from her new town. On top of seeing the kidnapping from years before, Molly also has visions that she thinks will help find the girl. Molly also finds out that another girl from that town was also kidnapped 20 years prior in almost the same manner as the current girl and she was never found. Orginally I liked this book. I am always enjoy a good mystery. The part about the visions didn't come off as cheesy as you might think. Basically I didn't end up liking the book because the author spent way too much time trying to lead you in the wrong direction. *spoiler alert* When you finally did find out the big mystery it had pretty much nothing to do with what the rest of the book and by pretty much I mean almost nothing at all. It was incredibly disappointing. I think the author was trying to be Jodi Picoult and failed miserably. A Los Angeles based writer in her early 20s unexpectedly finds out that she is pregnant. She quickly must change her wild ways and focus on her new life as a mother. The writer comically accounts her challenges and triumphs of being pregnant, getting married and being a new mom while trying to remain true to herself. First off I must admit that I might be a little bit biased. I have been reading Rebecca's blog for over three years and already loved her before I read her book. With that said, I had kind of high expectations. Those expectations were definitely met. I love her honesty and could totally relate to a lot of her experiences. The one I could most relate to was trying to make other mom friends as a new mom. It is way harder than it sounds and I can relate to Rebecca on all levels of this. If you have ever joined a "moms's group" I'm sure you know what I am talking about. I highly recommend this to all moms that are trying to find a balance between the old you and the new you. This one is a tough one to summarize because the book opens up it's details slowly but cleverly and I don't want to spoil any surprises. The story follows an art student in Prague who lives a very unusual personal life. 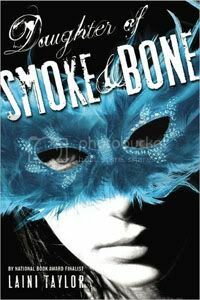 In the first quarter of the book the main character, Karou, life is turned upside down and she must now try to discover who she is to try to save the unusual "family" that she loves. I really liked it. It is completely different from anything I have read of usually read. There are mythical crearures in the book which I usually find silly but I thought this book was really well written. The beginning starts out slow and a little bit confusing but as the story unravels, it becomes more and more engaging. It is also the first in a series of books and I am highly anticipating the release of the next one. It is called Days of Blood and Starlight and will be released September 18th 2012. This book is based in the future city of Chicago. It is completely fenced off and guarded. The city is separated into five sectors. The sectors are Erudite- the intelligent, Abnegation- the selfless, Candor- the honest, Amity- the peaceful, and Dauntless- the brave. At the age of 16 the residences of the city are given an aptitude test to best determine which sector they belong in. It is then their choice to choose and go through an initiation process in order to be accepted into the sector of their choice. 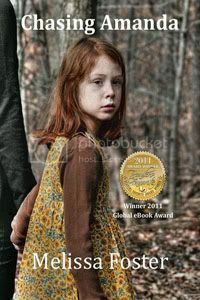 The book follows the story of a 16 year old girl named Beatrice who now must make the decision for herself. This was my favorite out of all of them. I read it in a day and a half. I definitely recommend it if you read The Hunger Games and liked them because this book has a very similar feel. I have nothing bad to say about it except that I'm sad that the next book hasn't come out yet but it is expected sometime this year. There you go five of my latest reads. This took me a long time to write. Maybe I should stick to reviewing 3 books at a time instead of 5. If you have any book suggestions for me let me know, as you can see I love to read. You can also find me over at Goodreads. I'm the same way about reading.. I read a bunch of books all in a row and then none for awhile. I think I'm going to download the first book in the Hunger Games for my 6 hour flight/2 hour layover/2 hour flight next week. I've read 4 books so far this year (I'd like to add that one was 700 pages!!) and have hit a wall on what I should read next. 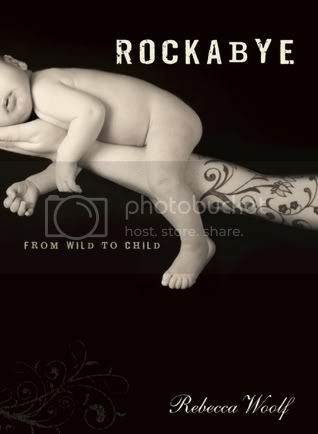 I will def try out "rockabye", I know how those "mom's groups can be..." and possibly "the daughter of smoke and bones". 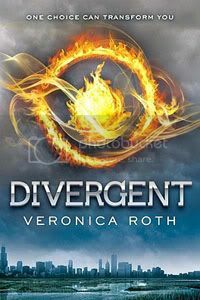 I too enjoyed "Divergent" a lot and wish the sequel was out! Cool! I've been looking for a new one to read! This last one sounds good! Thanks for the reviews! I'm on my fourth book of the year now - 11/22/63 by Stephen King. So far it's great. I also read Room, The Virgin Cure, and Sarah's Key and loved them all. I'd recommend each of them even though they're all very different!